I take every opportunity I can to promote friendship among my students. I encourage lots of compliments and positive thoughts. So when Valentine’s Day comes around, I really push the friendship idea! When I saw this idea, I thought it was fabulous! 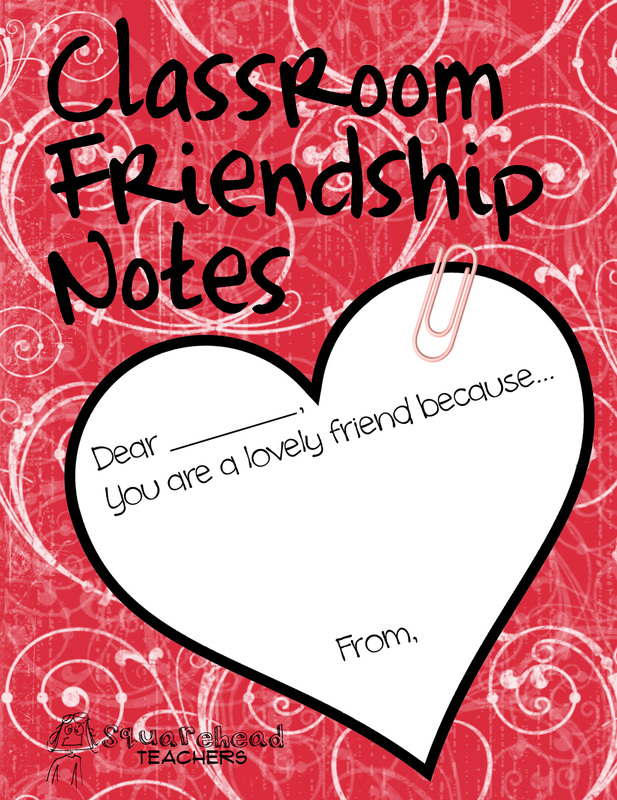 Run off a bunch of copies of this page and let your students give compliments to each other! This entry was posted in Holidays/Seasons, Management, Student Behavior, Valentine's Day and tagged Children, Education, Elementary School, Friendship, Homeschool, Kids, Teacher Resources, Teachers, Teaching, Valentine's Day by Squarehead Teachers. Bookmark the permalink. What a cute idea! Adding to my TEFL stash of items to take! Thank you for sharing Mindy!